Cyber/Nuke attack on the US only a matter of time! – Dr. Turi M.D.U.S. Cyber/Nuke attack on the US only a matter of time! 12/18/14 – North Korea has 1,800 cyberwarriors This IS The Beginning of End of America! 1/24/13 – Cyber/Nuke attack only a matter of time! – Dr. Turi M.D.U.S. Updated 01/26/13 – ‘Anonymous’ threatens Justice Department – It seems my visions are accurate! Updated 06/06/2015 MASSIVE HACK induced by the reptilius group. Join to ask questions and get answers that are too sensitive for the public. 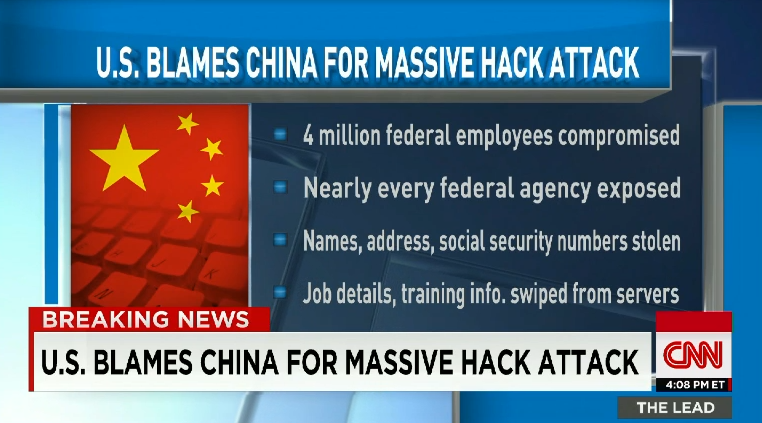 CNN – The massive hack that may have stolen the personal information of four million federal employees appears designed to build a vast database in what could be preparation for future attacks by China against the U.S., cybersecurity experts advising the government. But the sad reality is both the group and the Homeland Security are cosmic unconscious and “Anonymous” blame the government for Aaron suicide and took his side against its legal battles. All induced by his natal stars and nefarious ET’s. All human participants, would it be the FBI or the activists are simply neurotically, robotically, subconsciously acting out the part of their natal stars; without a remote understanding of the inner reasons as to why they are implicated, in a variety of emotional human affairs. Cosmic unconsciousness starts with the first teachers battling their closest family members UCI differences within the nucleus of their own homes. Read why Aaron Swartz committed suicide! Furthermore, electing a President dwelling endlessly on his unlucky Aquarius (NUKES) Dragon’s Tail can only “attract” the Uranic explosive energies cloaked in his UCI. In Roxy radio show I explained this nuts and bolts of President Obama unusual fate. Thus; if you are able to handle the truth; I can only warn America of its impending fate, for ignoring the cosmic code jurisdictions. 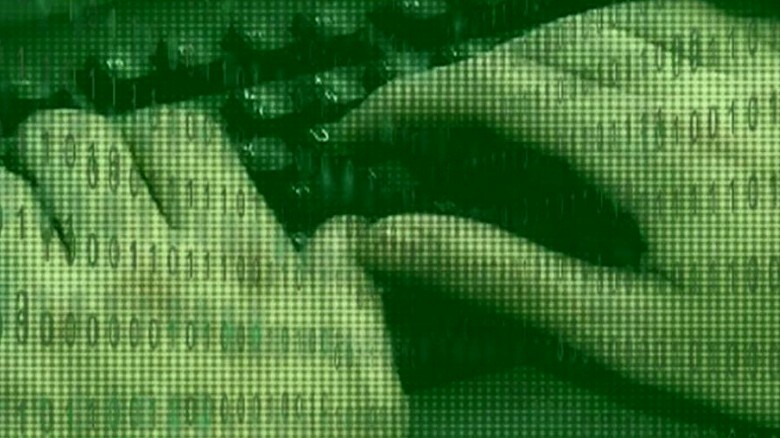 Cyber/Nuke Attack on the US, only a matter of time! Our infantile science and the world’s population are totally cosmic unconscious and oblivious of the cosmic forces at work in charge of each and every human being living on planet earth. The more power you give a soul, the more his fate will be felt upon those he rules. History spoke the truth of my supreme wisdom with evil souls such as Hitler, Mussolini, Saddam Hussein, Qaddafi, Joseph Stalin etc. Asia own a very strong “Aquarius” technology energy located right on the Dragon’s Tail of President Obama and those energy speaks a language he and his cosmic unconscious advisers are not trained and ill fitted to translate. This Uranic/Aquarius “sudden release of energy” produced the December 7, 1941 “surprise attack on Pearl Harbor and will manifest again in the future. 2014/2015 will be crucial months for my vision to unfold unless the entire Obama administration become cosmic conscious and act appropriately and timely. 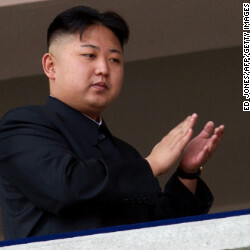 North Korea makes new threats against U.S.
North Korea says it plans to carry out a new nuclear test and more long-range rocket launches, all part of a new phase of confrontation with the U.S.
North Korean leader Kim Jong Un, was born January 8, 1983 and own the SAME Capricorn (the Goat/head of evil) Dragon’s Tail (negative) as Hitler and his moon (North Korea infrastructure/his people) is located in the deadly sign of Scorpio! Exactly like Saddam Hussein who did not hesitate to kill his family members to own and stay in power… And we all know what happened to Iraq since then. In the January 23 Cosmic code radio show I explained how the universal mind, interacts with the human mind and I can only suggest the reader to listen to the program archives and learn more on the topic. Meantime, I will elaborate more on January 26th on the Jeffery “Church of Mabus” radio show! I guess blasting the Internet since 1991 and being a favorite guest on George Noory Coast To Coast am radio show , heard by millions of people has paid off for science. While I do not expect to ever acknowledge where they first heard the idea of the human mind being directly “connected” with the universal Mind or getting a ” Nobel Price” from the scientific community, the cosmic code jurisdictions is making its mark upon the world. Yes, back in 1991 I was well ahead of them all… Scientists are still millions miles away from cosmic consciousness. Seems they will never heed my warnings! The idea of the universe as a ‘giant brain’ has been proposed by scientists – and science fiction writers – for decades. But now physicists say there may be some evidence that it’s actually true. In a sense. According to a study published in Nature’s Scientific Reports, the universe may be growing in the same way as a giant brain – with the electrical firing between brain cells ‘mirrored’ by the shape of expanding galaxies. DT Rebuttal: Human are a microcosm of a much larger macrocosm – Macrocosm and microcosm is an ancient Greek Neo-Platonic schema of seeing the same patterns reproduced in all levels of the cosmos, from the largest scale (macrocosm or universe-level) all the way down to the smallest scale (microcosm or sub-sub-atomic or even metaphysical-level). In the system, the midpoint is man; who summarizes the cosmos. Thus, if this crowd of erudite men mentioned below knew and used the stars; chances are our infantile science will humble themselves for a change and accept the difference between trdaditional education and intelligence. Plato – Philosopher – Albert Einstein – Physicist – Ralph Waldo Emerson – Poet – JP Morgan – First Billionaire – Robert Heinlein – Best-selling Author – Hippocrates- Father of Medicine – Paracelsus Mental genius- DH Lawrence – Author – Louis Pasteur – Scientist – Pythagoras – Mathematician – Benjamin Franklin – A Founding Father of America – Donald Reagan – Formerly Ronald Reagan’s Chief of Staff – Raymond Domenech, French soccer coach – Author Paul Kiritsis – Nostradamus Seer, and of course Dr. Turi and all his Astropsychology students use the stars! It seem some of these new scientists own a more advanced UCI or Unique Celestial Identity than some of their classmate peers and are moving in the right direction. Continued: The results of a computer simulation suggest that “natural growth dynamics” – the way that systems evolve – are the same for different kinds of networks – whether its the internet, the human brain or the universe as a whole. A co-author of the study, Dmitri Krioukov from the University of California San Diego, said that while such systems appear very different, they have evolved in very similar ways. The result, they argue, is that the universe really does grow like a brain. The study raises profound questions about how the universe works, Krioukov said. “For a physicist it’s an immediate signal that there is some missing understanding of how nature works,” he told Space.com. The team’s simulation modelled the very early life of the universe, shortly after the big bang, by looking at how quantum units of space-time smaller than subatomic particles ‘networked’ with each other as the universe grew. As mentioned before, unless science breach the gap between the physical and spiritual manifesto and stop distancing themselves from the spirit; the secrets of the universe can be theirs. Here are a few videos that introduce you to the old art and science. Click the links. But doesn’t seem the scientists are wise enough to grasp use of my 45 years of independent researches. Continued: They found that the simulation mirrored that of other networks. Some links between similar nodes resulted in limited growth, while others acted as junctions for many different connections. For instance, some connections are limited and similar – like a person who likes sports visiting many other sports websites – and some are major and connect to many other parts of the network, like Google and Yahoo. No, it doesn’t quite mean that the universe is ‘thinking’ – but as has been previously pointed out online, it might just mean there’s more similarity between the very small and the very large than first appearances suggest. Meantime, this HUGE universal mind affects all human being at a very personal level through their inherited karmic program or their “UCI or Unique Celestial Identity.” But science can’t recognize the unseen cosmic forces at work are only felt and generated by our local solar system… All other solar systems supports a very different type of life far from the five limited human senses, its limited perception and understanding of what infinity, time and space is all about.Or what I attribute to the effect of “Dark Matter” as to make sense to their unsophisticated underdeveloped non spiritual natal/rational/skeptical/logical UCI. As we move forward into the Age of Aquarius (Google/Yahoo/technology/UFO) scientists born with a more perceptive UCI will be allowed into the archetypal real of consciousness to make a good use of the intuitional domain of the stars. By looking at the article and the author explanations above, there is still a very long way before cosmic consciousness blesses all scientists of the future. Don’t miss the January 26th Jeffery “Church of Mabus” radio show where I will explain more on the Cosmic Code jurisdictions and do more predictions! Thanks for this – So Dr Turi how does a poor humble being like me get access to your cosmic code pages? Previous post: NFL Seau Concussion “Holy Grail” of Lies and Stupidity!